The Green New Deal from Democrats is packed with ambitious goals such as guaranteeing a job to everyone, “upgrading all existing buildings in the United States,” providing “high-quality health care” and higher education for all, “meeting 100 percent of the power demand in the United States through clean, renewable, and zero-emission energy sources,” and other sweeping provisions. All of this in 10 years and without defined sources of funding, according to the Green New Deal resolution in Congress. Put it all together and there’s no shortage of questions about the resolution and its pie-in-the-sky approach. Republicans, however, have zeroed in on accompanying documents that were never part of the resolution and that were retracted on Feb. 9 by Rep. Alexandria Ocasio-Cortez (D-N.Y.), a sponsor of the Green New Deal. 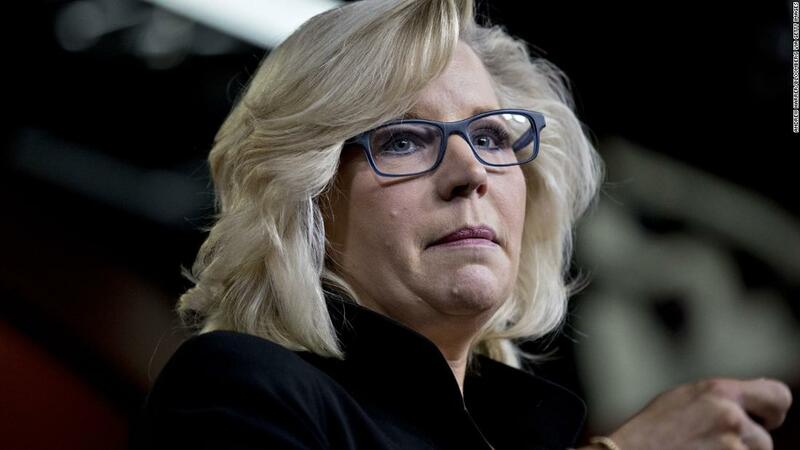 Cheney, who chairs the GOP conference in the House, went the furthest during a congressional hearing Feb. 12. She claimed the Democrats’ plan would “eliminate” air travel or leave the government to decide for people “where they can fly to and where they can’t.” It wouldn’t be feasible to stop flying patients with life-threatening illnesses, Cheney said, so decisions that prioritize some flight plans over others would be needed. The resolution doesn’t mention airplanes or cows at all; it certainly doesn’t ban flights or farts. As we’ve reported, these attacks are based on “frequently asked questions” documents that were released and then retracted by Ocasio-Cortez’s staff. But Cheney has added a new twist about “vacation commissars.” There’s nothing in the resolution regulating who can take an airplane and who cannot. Let’s take a look. Whether it passes or not, the Green New Deal resolution is nonbinding and unenforceable. It’s a broad statement of policy priorities. Democratic sponsors intend to use it as a blueprint for a formal legislative proposal down the road. Still, nothing in the resolution would “outlaw” plane travel, cars, gasoline or the U.S. military, as Cheney posited. Accomplishing some of the goals in the Green New Deal undoubtedly would affect the industries and services she mentioned, but it’s inaccurate to say the Green New Deal would “outlaw” them. The plan calls for “meeting 100 percent of the power demand” with clean, renewable and zero-emission energy sources. It should be noted that some key provisions in the Green New Deal call only for “technologically feasible” changes. Getting down to brass tacks, the resolution calls for “overhauling transportation systems in the United States to eliminate pollution and greenhouse gas emissions from the transportation sector as much as is technologically feasible, including through investment in — (i) zero-emission vehicle infrastructure and manufacturing; (ii) clean, affordable, and accessible public transportation; and (iii) high-speed rail.” That’s all it says about transportation; there’s no mention of air travel. The resolution calls for “working collaboratively with farmers and ranchers in the United States to eliminate pollution and greenhouse gas emissions from the agricultural sector as much as is technologically feasible.” No cows are passing gas in this provision. So how did we end up with all this talk about cows farting on airplanes? As part of the resolution’s rollout, Ocasio-Cortez’s office released some accompanying documents, or FAQs, with sweeping statements that went beyond the terms of the resolution itself. Fox News commentators and Republicans were quick to mock these pronouncements. Some Democratic presidential contenders who had endorsed the Green New Deal started to distance themselves from the further-reaching language in Ocasio-Cortez’s FAQs. One version of the FAQ called for building “high-speed rail at a scale where air travel stops becoming necessary.” This line went beyond the terms of the resolution, which calls for high-speed rail investments but doesn’t mention airplanes or air travel. Back to Cheney. She entered this FAQ into the congressional record at the hearing Tuesday and at one point said “when it comes down to something like air travel, which the FAQs say they want to eliminate within the next 10 years.” But the FAQ did not call for eliminating air travel within the next 10 years. It was more muddled on this point. These statements envisioned a scenario “where air travel stops becoming necessary” and also “fully” getting rid of airplanes. However, it’s important to read the latter answer in context. It was part of an explanation of why the Green New Deal left room for some greenhouse-gas emissions rather than totally eliminating them over 10 years. The FAQ writers were saying that, as a practical matter, they would not be able to end air travel or bovine flatulence within the Green New Deal’s 10-year time frame. Read in full and in context, these statements are not a definitive call for ending air travel or cow emissions. There’s an implied concern with ending air travel someday after the 10-year horizon. But this language was never in the resolution itself, and in any case, these FAQ documents and the statements therein were retracted days before Cheney made her comments on Tuesday. Cheney’s office also pointed out language in the FAQ about replacing “every combustion-engine vehicle” and making “a full transition off fossil fuels and zero greenhouse gases,” which, by extension, would end jet fuel and nonelectric cars. These phrases did not end up in the resolution, either. Wheeler carefully distinguishes between the resolution and the retracted documents and criticizes the plan based on what’s actually in it. High-speed rail would become an airplane alternative for some travelers under the terms of the Green New Deal, but it wouldn’t end commercial air travel. Some travelers may prefer flights over high-speed rail. And many would have no choice. Burning through jet fuel releases greenhouse gases into the atmosphere. These emissions are a relatively small share of the total, but they are projected to keep rising amid growth in the airline industry. In 2013, U.S. aircraft accounted for 0.5 percent of global greenhouse-gas emissions, the EPA said in 2015. Caldeira said aviation from all countries accounts for 0.8 gigatons of carbon dioxide emissions per year, or 2 percent of the global total, citing a 2018 study in the journal Science. Meanwhile, domestic cars and trucks accounted for 83 percent of carbon-dioxide emissions from fossil fuel combustion between 1990 and 2013, according to the EPA. For commercial aircraft, the figure was 7 percent. In the same 23-year period, emissions from passenger cars and light-duty trucks increased 8 percent while emissions for medium- and heavy-duty trucks rose 71 percent. Moving on to cows. They represent a significant share of greenhouse-gas emissions. There’s no safe way to prevent cows from heeding the call of nature, although some researchers are trying to mitigate the large volume of methane gas cows expel by mixing seaweed into their diets or tinkering with genetics. According to the United Nations, livestock farming accounts for up to 18 percent of emissions that contribute to global warming, nearly a quarter of which is just cows being gassy. The offending methane gas is “more burps than farts,” though. “The burps for the cows — it is more burps than farts — contribute about . . . 4 percent of [all] greenhouse gas emissions,” Anne Mottet, livestock development officer at the U.N. Food and Agriculture Organization, told Reuters in October. Far bigger questions than cows and airplanes quickly come to the fore here: How do you retrofit every building in the United States? How do you curb emissions from vehicles on the ground? How do you guarantee jobs for everyone in the United States? The improbable prospect of ending all air travel, something that would never fly with American consumers, seems like a distraction from the real questions at hand. Cheney conjured up an apocalyptic vision of life under the Green New Deal: Outlawed cars, outlawed gasoline, outlawed plane travel and even possibly no military and a roster of “vacation commissars.” Even allowing for political rhetoric, there’s very little to support these claims. In reality, the Green New Deal resolution has no teeth and wouldn’t become law if it passed. So these claims are based on a retracted FAQ about a nonbinding resolution. In these documents, proponents of the Green New Deal mused about ending air travel and stopping cows from passing gas. Problematic as those lines were, none made it into the resolution. Moreover, the FAQ was discarded days before Cheney brought it up at a House hearing to raise the specter of some government bureaucrat deciding whether you can board a flight. There’s nothing like this at all in the plan, not in the resolution and not in the retracted FAQs. 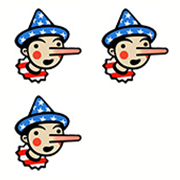 Cheney goes further than many of her Republican peers and earns Three Pinocchios. We were tempted to make it Four Pinocchios, given Cheney’s line about “vacation commissars,” but the ineptitude of the Ocasio-Cortez staff certainly gave Republicans a lot of material for these attacks. “I would just say that it’s going to be crucially important for us to recognize and understand when we outlaw plane travel, we outlaw gasoline, we outlaw cars, I think actually probably the entire U.S. military, because of the Green New Deal, that we are able to explain to our constituents and to people all across this country what that really means. And even when it comes down to something like air travel, which the FAQs say they want to eliminate within the next 10 years, that means the government is going to be telling people where they can fly to and where they can’t."